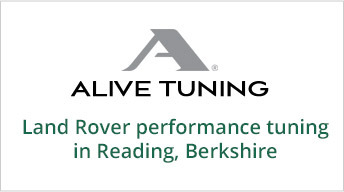 A company named Rovertune started life in 1982 servicing Land Rover vehicles. In November 2002, that company was purchased by Robert Margrave and Rovertune Limited was formed. From that time it has steadily grown in stature to become one of the most respected Independent Land Rover Specialists in the South of England. Providing excellent standards of workmanship and exceptional customer care are the paramount drivers of our business. Rovertune Limited as an independent specialist offers its customers everything that they would expect from a main Land Rover franchised dealership, and more, together with a totally honest, transparent and friendly approach to their requirements. It does not differentiate whether a vehicle is brand new or not so new. The same level of commitment and care is applied to all. The company has developed in size and stature as Land Rover has produced ever more luxurious and technically advanced vehicles. To continue this development and cater for Land Rover designing and introducing even more new vehicles it has upgraded its workshop and equipment to incorporate the very latest lifting platforms, technological innovations and specialist tooling to compete with any Main Franchised Dealer. An EU Directive issued in October 2003, (strengthened in 2010 and lasting until 2023) states ‘manufacturers can no longer insist that your vehicle must be serviced at a franchised dealer in order to maintain its warranty’. Providing technicians are competent, genuine parts and correct fluids are used with all servicing undertaken strictly in accordance with manufacturers recommendations, specifications and procedures, then Land Rover must honour any vehicle warranty. Rovertune Limited strictly adheres to all of these requirements. The strengthening of the EU Directive in 2010 also insists that manufacturers must provide independent specialists with all technical details, information, data, codes and software updates for all vehicle models, thus allowing Rovertune Limited to compete on an equal footing with all the services provided by main franchised dealerships. Therefore, having your vehicle serviced at Rovertune Limited will not jeopardise your warranty. Rovertune Limited is continuously connected online to Land Rovers official Technical and Owner Publications Information exchange (TOPIx) and Vehicle Software update systems (the very same systems as used within the Main Franchised Dealer network). Both are used in conjunction with the very latest official Land Rover Pathfinder Diagnostic System for all 2017MY (and beyond) vehicles, as well as SDD (Symptom Driven Diagnostics) diagnostic systems for vehicles up to 2016MY. Customers can rest assured that whatever model, or age of Land Rover they own, all servicing and repairs will be carried out to the very latest manufacturers requirements and always at very competitive prices. For vehicles manufactured since 2012 and those still under the three year warranty, Rovertune Limited are pleased to announce that they are one of the very few Independent Land Rover Specialists accredited to use the Official Land Rover Online Service History system as used within the Main Franchised Dealer network. This gives customers total peace of mind knowing that vehicles which qualify for this system are being serviced exactly to the requirements laid down by Land Rover and that their service details are fully recorded within Land Rovers official database. Rovertune Limited mainly serves the counties of Berkshire, Buckinghamshire, Oxfordshire, Hampshire and Surrey, with many customers coming from the London area attracted by the significant cost savings they can achieve. It also has customers from many European countries. We provide a FREE collection and delivery service (within certain distances) or can arrange transport to rail stations, or into Reading. For customers wishing to wait whilst their vehicle is serviced you are welcome to make use of our free Wi-Fi connection.